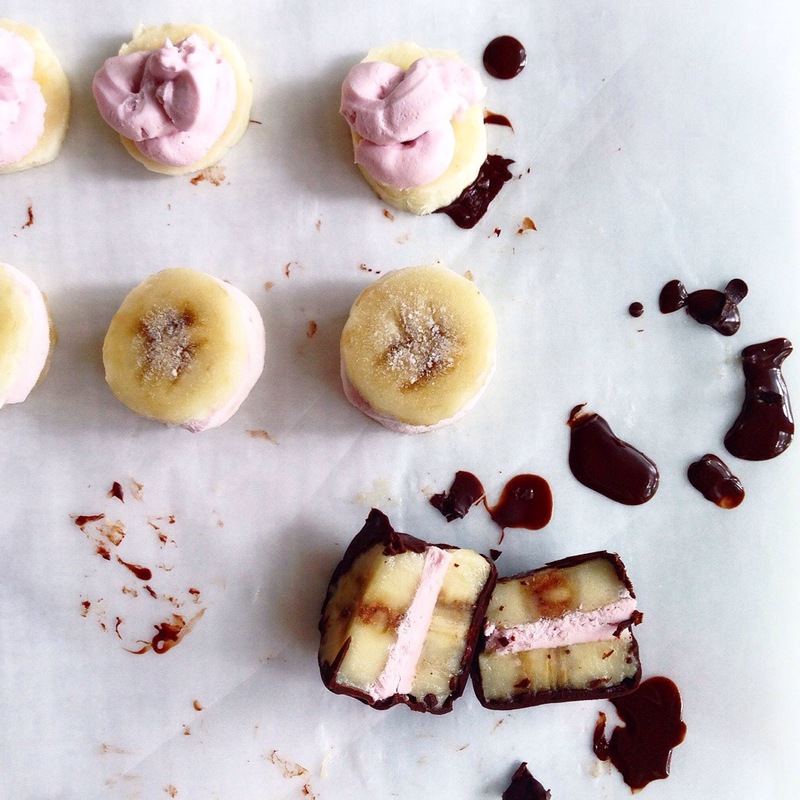 Chocolate Covered Kitchen Projects. | Eat More Plants. I kept seeing everybody post those chocolate covered frozen banana & peanut butter sandwiches and was like OK I GET IT. I love the concept but I wanted to make it my own. So I thought of a whipped coconut cream instead of pbutter. I wanted it pink…beet juice! Yes. Not for flavor but for aesthetics. Just a few drops. I grated raw beets for a salad and scooped out a teaspoon of juice before adding anything else to it. I also added a tablespoon of maple syrup while whipping my coconut cream. 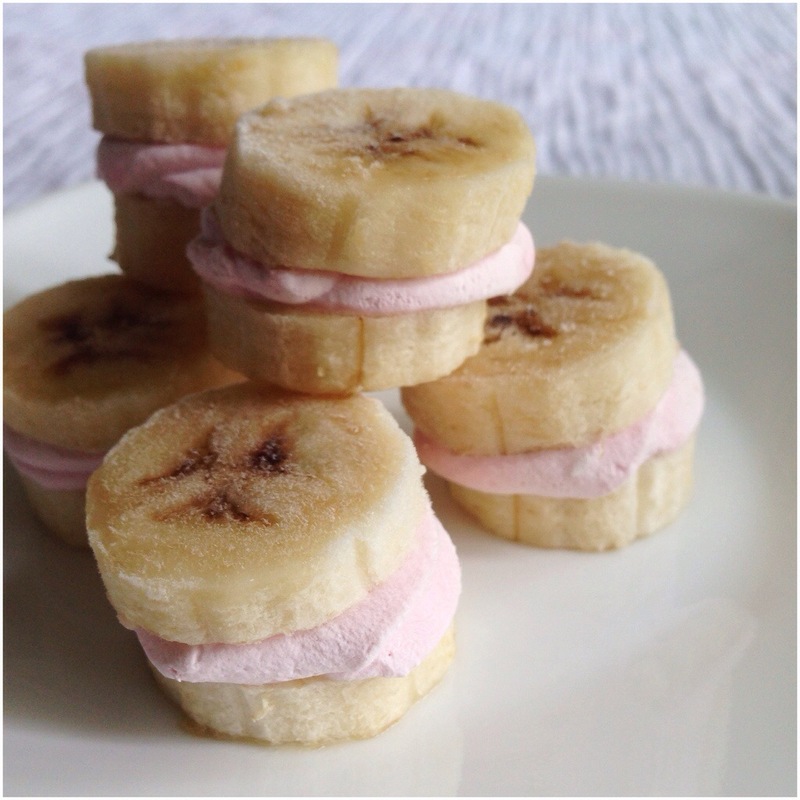 I sliced bananas 1/2-1/4 inch thick, piped about a tablespoon of coconut cream onto one and gently laid another slice on top. I should have cleaned up the edges where the coconut cream protruded out but I’ll remember for next time. Minus 3 points for neatness. I transferred the sandwiches to a little plastic tub and froze them over night. Whisk every thing together in a sauce pan over low, low, looooow heat until smooth. You can sub regular cocoa powder or carob if need be. 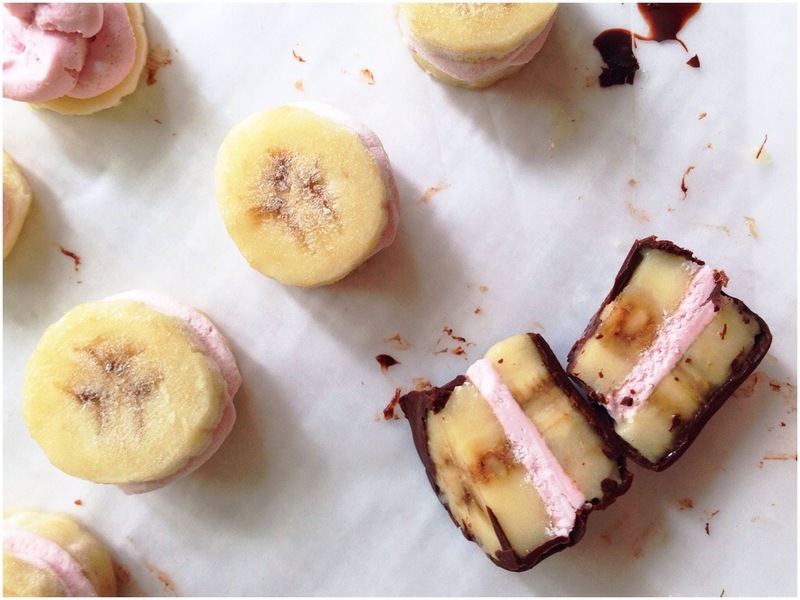 Take your banana sandwiches out of the freezer. They must be frozen! Only take them out when you’re ready to coat them, after you make the chocolate sauce. Have a piece of wax paper on your counter to work on. Lay each sandwich on a fork and with your other hand, spoon the chocolate over it, letting the excess drip back into the sauce pan. Cover the sides as best as you can and then gently slide it onto the wax paper to set. The chocolate should harden as soon as it touches the frozen bananas. Pop them in the freezer and keep them there until you’re ready to eat them. They must stay frozen! They will melt and get soggy if you leave them out. Alternatively you could melt a super dark chocolate (85% cacao works great) with some coconut oil and use that to coat them. It might be a bit more stable if it’s very hot out and your coconut oil is liquidy already. If you’re not familiar with whipped coconut cream, read this recipe to make it. 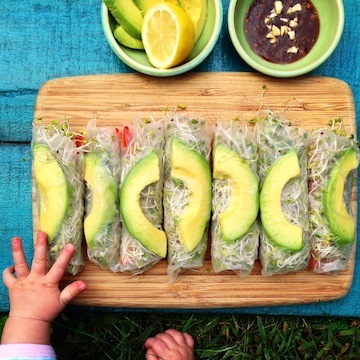 I love this idea and especially the bite sized pieces… Perfect for the summer!